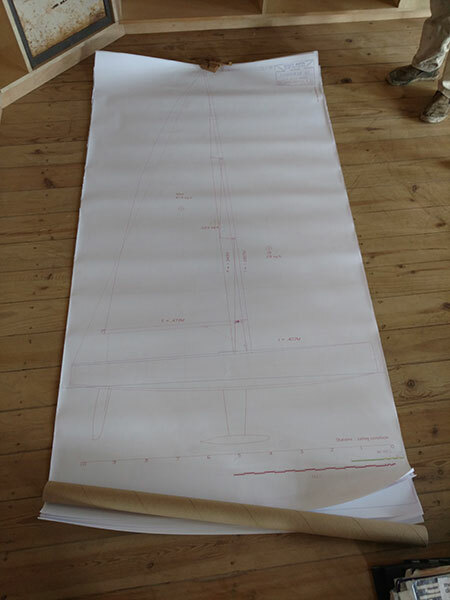 The yard team from Grenada Marine will be constructing a Caribbean 33 racing sailboat this summer. 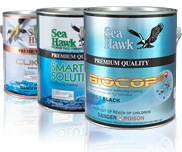 The construction will be completed utilizing Sea Hawk’s epoxy system, Hawk Epoxy. There has never been a racing sailboat of this kind constructed in Grenada and the team from Grenada Marine is excited to get this boat built and race in regattas this winter. 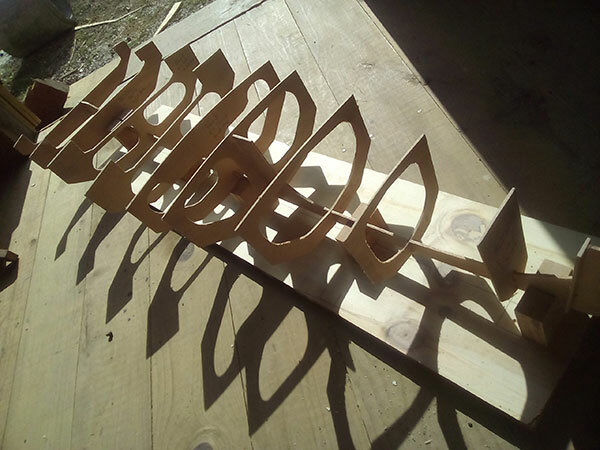 A 1/10 model is being constructed now to facilitate a smooth building process on the actual boat which starts very soon. “The boat, the C33 or Caribbean 33, came about as a result of our yard team wanting to get up to racing class in our local regatta. Having met and made friends with Britt and Toby of Carbon Ocean Yachts, we started dreaming of building a race boat, as we could not afford/rationalize simply buying a sport boat. Britt and Toby do things at a level we could not achieve at the time, so the idea slowed a bit. Then we met and made friends with Nacho Postigo, who helped lift us up through the ranks of cruising class till we have convincingly won the regatta in the last two years. While racing together the dream of building a race boat raised it’s head again and Nacho suggested a simpler more achievable approach. Build a proper race boat, but relatively simple to build/maintain, affordable, yet able to be sailed with your average Caribbean crew and be able to build it ourselves at the yard. Nacho having a wealth of experience sailing at a high level in the top Caribbean regattas and getting to know us, his Caribbean team/project, wrote what I think was a very to the point design brief. Britt and Toby felt that the right guys for the job were Rodger Martin and Ross Weene of Rodger Martin designs, and they took us seriously. Thank you guys. Now we have the help of Britt and Toby who are ‘making the kit’ for the hull. Erik Norrie (CEO of Sea Hawk Paints) and I being friends, I asked if he would like her to be built with Hawk Epoxy. The scale RC model idea came about while chatting with Jay, a long time friend and customer of ours at the yard, and again Ross and Rodger came through for us and provided a set of 1/10th scale drawings. 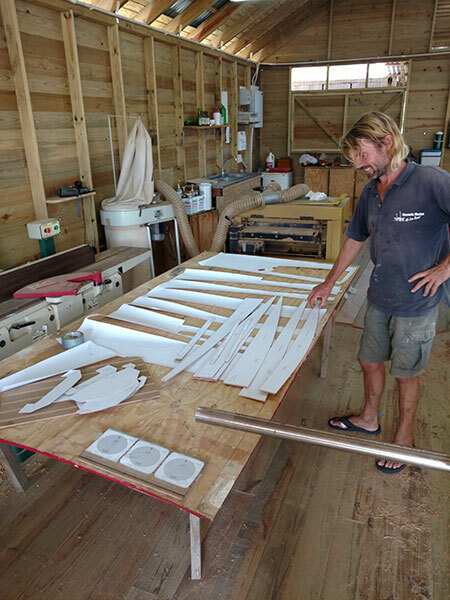 So Ben Jefferies, our Shipwright, and Roland James, our composite supervisor, are building a wooden model from which Roland will make a mould and produce a few fiberglass hulls. The idea is that it will help our guys prepare for the real boat. Then we plan to rig a couple remote controls and match race them in front of the restaurant for fun and exposure of the C33. All the best! Thanks Erik and all for helping build the momentum on this project. We have to be sailing by mid December to race at the end of January in Grenada and possibly March in the St. Maarten Heineken regatta. A racing sailboat like this one has never been built in Grenada and Sea Hawk Paints is excited to be a part of this historic project! Below are a few images that Jason sent along with the letter above.